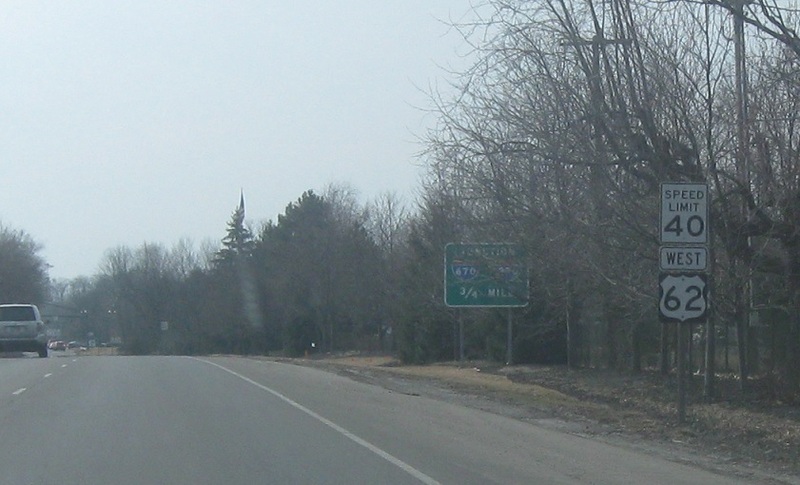 Reassurance shield a few blocks after the turn as we head out of downtown Gahanna. 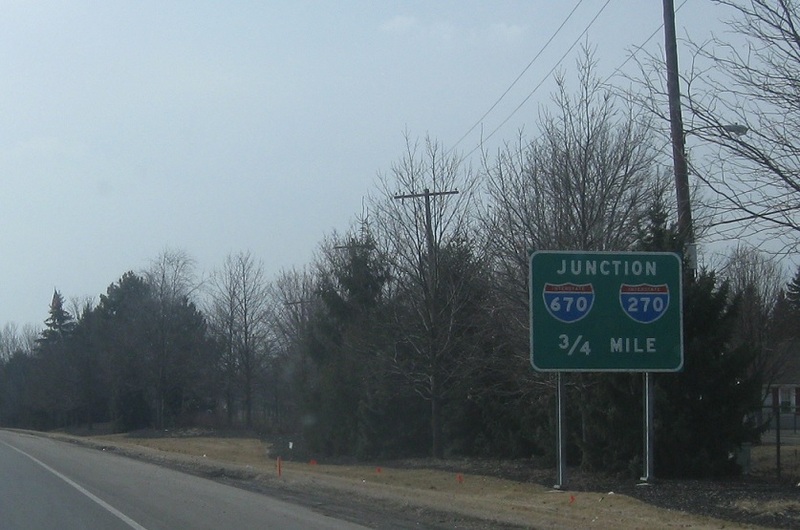 In 3/4 of a mile, we’ll approach Interstates 270 and 670. Reassurance shield after Stygler Rd. 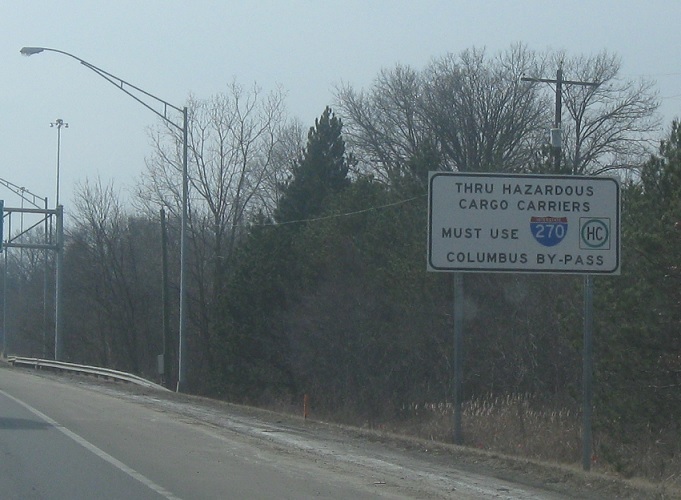 Hazardous Cargo is advised to use the I-270 outerbelt. 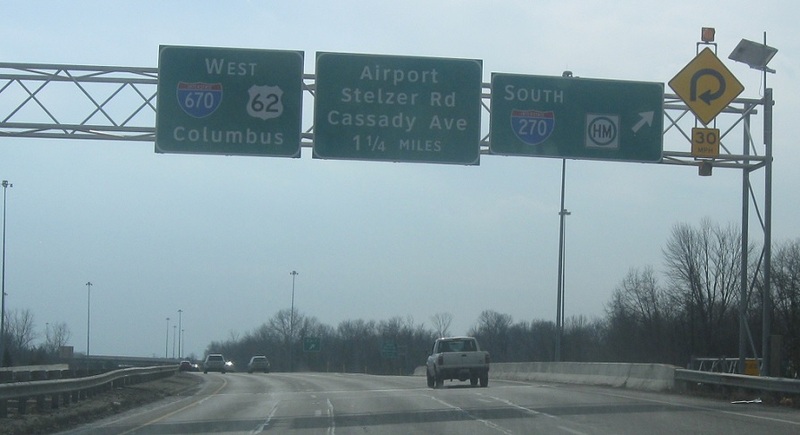 In a quarter mile, exit for I-270 north. 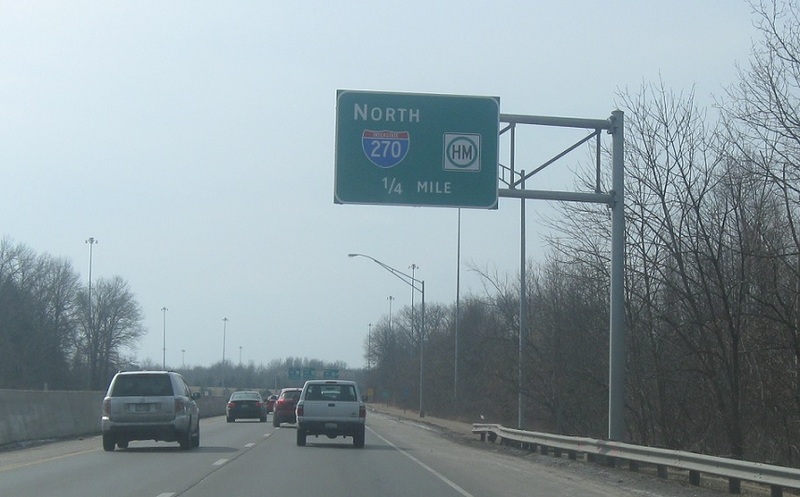 Exit for I-270 north towards Cleveland. 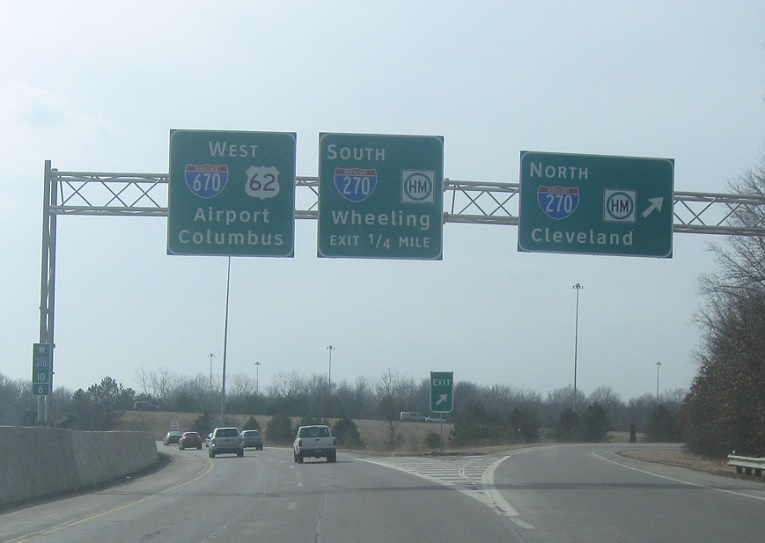 Exit for I-270 south towards Wheeling, W. Va. I-670 begins here and carries US-62 with it, with the route heading towards downtown Columbus.